I've tried putting a second 260GTX (yes, my gpu is old) into my pc and found out that ffxiv 1.x doesn't scale with it at all. No improvement on framerate, both cards just share the load@50% each while still stuck at 35fps (limit=60fps). nVidia's own scaling indicator was jumping around 20% of the green bars. Is this the same for crossfire users? I don't remember anything about it in any of the interviews so... do we get proper scaling with ARR? Just wanted to drop a heads up that we are coordinating with AMD and Nvidia so that Crossfire/SLI will be supported when the game is officially released. Can we have it? Pretty please? It works very well both for the developer (that can get a nice bundle of money on the short term from people that often would quit anyway on the long term) and for the customer, that can play all he wants without worrying one bit about monthly fees for the rest of his gaming life. For those not familiar with lifetime memberships. It's simply a subscription option in which you pay a good chunk of money (normally around $150/300 depending on the game) all at once, and then you're considered subscribed for life. No more worrying about monthly fees. It's great value for those that decide to go for it and feel that they'll stick with the game for a long time. We discussed the possibilities of including a lifetime subscription for FFXIV with Yoshida. He has researched other company's business models and knows that a few of them do offer lifetime subscriptions. Currently there aren't any plans to offer this option when the game launches, but there's always a possibility it's something that could be made available in the future. Would it be possible to make it so we have THREE options (instead of the current two) when it comes to displaying names? I hate seeing my name in the middle of the screen all day long, and I equally hate not being able to see the names of other players, or the aggro status of monsters. This has led me to constantly switch between displaying and hiding names when all I really want is the ability to hide my own name from my view. Would anybody else like to see this feature? Cool idea, no offense though but this feature is on the official forums. Your link is broken, and I doubt individual CR replies are in the dev tracker. Also, this is for those people who are unable to log in to the forums and so can't discuss them there. You can discuss them here instead. The link is not broken, it just works for those who have logged in accounts. But yes, I do like the development Wint. It would be really nice if you guys continued to stay on top of this as it will help the flow of information, which really has been kind of... not flowing outside of the official forms. So many repeated questions here that have been answered before in Rep posts. The fact that SE is currently not considering a lifetime subscription option is good news. No company would offer a lifetime subscription unless they thought that they'd make a greater profit over not offering it (obviously). Lifetime subscriptions generally "pay for themselves" after about one year's time. The fact that SE currently foregoes a lifetime option indicates that they believe there to be enough potential in FFXIV to retain the average player for a longer period of time than would be covered by the typical lifetime subscription. No company would offer a lifetime subscription unless they thought that they'd make a greater profit over not offering it (obviously). I'm not sure that's necessarily true, but even so the history of the lifetime sub is not an encouraging one. If the game ever transitions to a different pay model, it's always a hassle figuring out what to do with someone who's paid for a lifetime sub. I remain unconvinced that any game company would sit down, crunch the numbers, conclude that a lifetime subscription option would be a plausible and profitable thing to do, and then deliberately forego it. If they choose not to offer such an option it's because they forecast a greater profit can be made in refraining from doing so -- perhaps because they believe they can lengthen the game in the proceeding months, or perhaps because they hope to retain more faith by avoiding the negative associations such a payment option engenders. That is to say, you could abstain from cashing in on the short-term profits of lifetime subscriptions in exchange for allowing your game to appear more patient and stable. As for lifetime subscribers after your game resigns itself to micro-transactions, it's easy to know what to do with them, all companies taking that route do it: you bestow upon them "veteran status," or whatever the hell you call getting exp. boosts and store-bought currency thrown at you every now and then. At any rate, you're welcome to your opinion, of course, but there are massive marketing teams working alongside these decade-long, multi-million dollar MMORPG projects, and to think that they would just ignore what they believed to be sizable sources of revenue is too much for me to believe. I would love to see this. I would drop 2 years of subscription for a life time of use. However the down side effects SE. If we are going to play the game for an extended period of time, SE wants to cash in on that. Having a lump sum will cut the potential profits for SE, dramatically. Lets use me in FFXI as an example. Joined March, 2004. After 4 months I knew I was never going to quit. I would have dropped $300 for a life time membership. That's $360 total. Since I had to pay monthly and I did every month because I wanted to play, even if I wasn't playing for a month, I payed anyway. I had a subscription from March 2004 until May 2006 (26 months of subs) plus October 2006 to November 2008 (25 months of subs) then on and off until October 2010 (12 months maybe) then 4 months in 2012. Total months = 70months* x $13 = $910 + Expansions for PS2 and PC until WotG and a $10DL of all Abyssea. They would have lost over $600 of sub fees if they let me join for life. 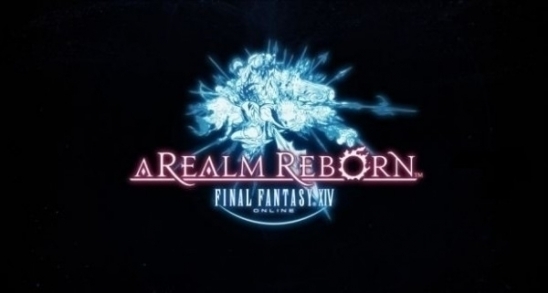 Now FFXIV might not be as good in the long run as FFXI but SE is hopeful. Maybe when they realize that people are playing less they will offer that type of service. I would do it but not if its at the end of its life. Right now if FFXI did it for $100, I would do it. maybe even $150 if only for the lure of playing again when I'm 50 and 60 years old. Crazy rant but I'm not the only one who has spent that much money on FFXI. lol. They would have lost over $600 of sub fees if they let me join for life. Exactly: if the company had any faith that a significant number of players would subscribe continuously for over a year or two, they would not offer a lifetime subscription option due to how much money they would stand to lose. As a business, you would only want to offer such an option if it was unlikely that a significant number of players would stay subscribed for that duration otherwise. A lifetime sub seems to me to be an initial cash grab, maybe to cover development costs. I don't think the average person would be willing to pay what they would need so we're probably safe from that option for the time being. It's an interesting idea though. I would like to see a change the the name displays too. /on and /off isnt enough. As that OP => OP said, I want to see mobs but not necessarily everything else. I am very interested to see what they come up with. Overall, good fins, Wint. Sorry for not saying so in my first post. I feel the same way, and I like that they'll have diverse options in this regard. Perhaps it's because, with surnames, people's names simply seem too long. I can still remember lots of people from FFXI, even those with whom I only had very casual relations -- people to whom I might /wave when seeing them dashing past me in Crawler's nest or waiting for an airship. There was Wheeltail (love that name lol), Hotaru, Gloomis, and others... now try remembering Hotaru Nabeshin, or Gloomis Aurelion -- it's as though names are partly hidden amongst themselves, lost in a sea of too many names, and therefore somewhat less memorable. Not that it's a big problem, of course; I'm just navel-gazing. Seems they fixed the official forums, both my legacy accounts finally can login. I'm telling ya, one of these days MMOs are going to figure out how to effectively use autocomplete technology in their chat features and players everywhere will rejoice. Yeah I was thinking that in IRC last night, why can't I start typing an LS mate's name (if I'm in LS chat) and hit tab to auto complete it? I might suggest that once the beta starts. Thanks Wint. I hope you post more of these weekly updates. Very cool.